Are you adding avocado to your smoothies? 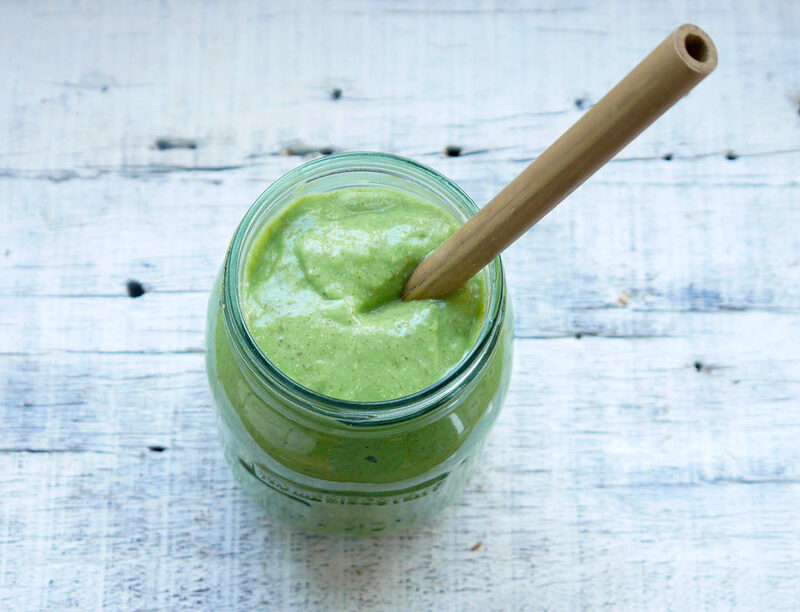 I know it sounds kinda weird, but you can’t taste the avocado at all and it gives your smoothie a delicious, creamy texture, not to mention gives you a dose of healthy fats that you need in your diet. I even peel and cut my avocados in quarters and then freeze them so I always have some on hand to throw in a smoothie if it needs thickening or some fat added to it. Add a green: spinach, kale, romaine, mint, basil etc. Add a fruit: strawberries, blueberries, raspberries, apple, pear, banana or a date if you need to sweeten it, but try to stick just to fresh fruit if possible. Try to stick to 1 portion of fruit. Try using half a banana if you are adding other fruit as well. Add a liquid: nut milk like almond or cashew (if store bought, choose unsweetened), hemp milk, coconut milk, coconut water, or my favorite: water. Add a fat and/or protein: chia seeds, flax seeds, avocado, nut butter (maybe not with nut milk) nut milk, hemp seeds, coconut oil. Optional: add a superfood: ginger, cinnamon, chia seeds, spirulina, greens powder, coconut oil, raw cacao, maca powder etc. I’ve put together a few smoothie recipes for you that use avocado so you can see for yourself just how yummy it is! Get them in my 21 Healthy Breakfast Recipes Free Ebook.